"I'd suffered migraines for a very long time and they'd progressively got worse. In my first appointment Rachel said to me, "You may get some results before Christmas," and I remember thinking "Probably not". But then I didn't have a migraine then til the following year. Modern Osteopathy is a wonderfully gentle, highly-skilled, hands-on therapy developed by an American doctor frustrated by the limitations of conventional medicine; particularly the side-effects and toxicity of drugs. Something most people can relate to these days. It has a strong belief in the body's ability to heal itself and self-regulate, given the right conditions. Osteopathy was the first complementary therapy to be regulated in the UK. It is an established, medically-recognised system of diagnosis and treatment which places its main emphasis on the structural integrity of the body. It is distinctive in that it recognises that much of the pain and disability we suffer stems from poor function of the body's structure as a result of the changes caused by disease and trauma. Osteopaths are true musculoskeletal specialists, with a high level of clinical and neurological assessment skills, anatomy, physiology and pathology knowledge. After 4-6 years of training, osteopaths have an incredibly subtle level of palpation and are able to detect and treat imbalances, tensions and strains. 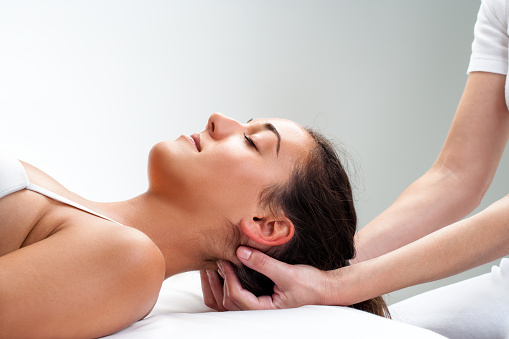 Osteopathy aims to stimulate the body's own healing capacities to find health, holistically. I have a high level of expertise in spinal and musculoskeletal problems, clinical diagnosis and management. In many ways coming to see me is like seeing a team of practitioners with very different fields, philosophies and healing skills. Very unusually for a manual (hands-on) therapist, I am a highly-skilled, trained and intuitive listener, helping you become aware of, understand and work through issues affecting your health and well-being in a supported, caring, whole-hearted way. My sessions take a longer-term, holistic view: relieving pain, stiffness and discomfort quickly, then focusing on getting to the root cause of the issue. The hows and whys. These may be a postural, movement, proprioception, strength or flexibility issue that needs rehabilitation, or a more emotional issue or belief about your health and what your symptoms mean. Very few therapists offer this particular blend of skills in clinical rehabilitation, pain education, acupuncture, yoga therapy and teaching, mindfulness, coaching and positive psychology. These give her the tools to successfully treat a wide range of health problems in a very multi-modal, truly holistic way. With nearly 20 years' experience in spinal health, my approach also borrows from the highly-effective movement therapies like JEMS, Alexander Technique, Feldenkrais, Somatics and Pilates. If you've only experienced very "passive" manipulative or massage treatments in the past, you will appreciate that this is a modern, holistic, long-term approach to health that aims to empower you, helping equip you with the understanding, selfcare skills, tools and knowledge to really manage your health. For life!